It is a requirement of your Agreement, that the goods are protected against Theft and Accidental Damage. We can arrange Theft & Accidental Damage Cover for £1.85 per week. It is a requirement that products purchased on a credit agreement are insured. We can offer Theft and Accidental Damage Cover for £1.85 per week. The Whirlpool BLF8121OX is a 339 litre fridge freezer with an auto defrost feature and sixth sense technology which monitors the temperature inside your freezer and automatically boosts freezing only when it is required. This feature can save up to 30% on energy costs. Inside the fridge you will find 4 fridge shelves - 3 of which are adjustable, 3 full width door compartments, 1 full width salad drawer and 2 temperature zones. 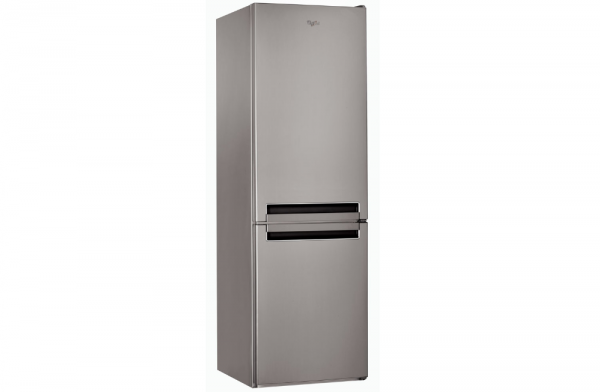 The freezer compartment has a 111 litres gross capacity and 3 clear front drawers. Built-in sensors automatically adjust cooling temperature, ensuring low energy consumption and prolonged freshness. This Whirlpool Fridge Freezer features an Electronic control system that ensures correct parameter settings at all times, providing the ideal performance and temperature control. Energy-efficient LEDs spread light evenly throughout the refrigerator cavity, making it easier to find what you're looking for.